An all-star and hall of famer, Yogi Berra first achieved fame in the '60s for his hot bat and fierce catching but he has remained in the spotlight for his successful coaching career and humorous witticisms. Berra has been reported as saying things like, "90% of the game is half-mental", and, "Always go to others' funerals or they won't go to yours!" 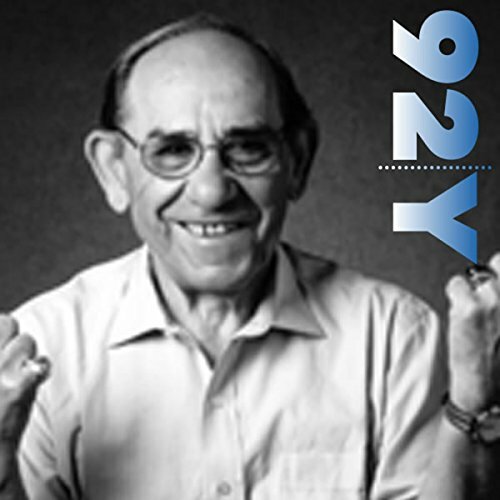 In this episode of Live at the 92nd Street Y, Berra speaks with David Kaplan, journalist and museum curator, about the ball player's illustrious life and career. As always, Berra's wit and humor is irresistible. Yogiism: Listen to When You Come to a Fork in the Road, Take It! Yogi Berra on When You Come to a Fork in the Road, Just Take It! Having grown up in the '50s and '60s with baseball-fanatic brothers and father, I was more than familiar with the great names of baseball of the time. To get to hear Yogi talk about himself, his game, his baseball associates and his famous quotes was just delightful. Thanks to the 92Y project! I love hearing these famous people discuss their lives, even if some of them are less than articulate. Because of their great moderators, they end up sounding good, and always interesting.